1. What Is Considered a Tax-Deductible College Expense? 2. Can I Claim My College Age Child on My Tax Return? 3. Are There Any Tax Deductions for a Son Who Does Not Live With Me But I Pay for College? Student loan audits come in two basic varieties: audits of the information contained in your student aid application and audits to determine whether you're making sufficient academic progress. In both cases, you have the right to appeal an unfavorable decision by the auditor, but you'll have to ensure you follow your school's policies and those of the U.S. Department of Education. Some audits are required by school policies and aren't conducted by the Department of Education. Your school will report the results of the audit to the DOE, though, and this can affect your aid eligibility. If your school audits you, it will provide specific information identifying the party to whom you should appeal. You may need to attach a signed copy of a degree audit showing your progress toward your degree. In other cases, a school error can give rise to an unfavorable audit decision. For example, if a professor miscalculates your grade or unfairly withdraws you from a class, this can affect your eligibility for student aid. You must appeal these decisions at the institutional level before you pursue an appeal with the Department of Education. Grade appeals usually require hefty documentation, so carefully gather your evidence and submit it with your appeal. If the Department of Education finds an error in your student loan application, you could lose student aid. You'll be notified in writing of the findings of the audit, and you must contact the DOE directly with your appeal. Write to the auditor at the address provided on the audit, and provide specific documentation showing why the decision was incorrect. For example, if the audit says you misreported your income, you'll need to provide pay stubs as well as tax returns and other information that supports your claims. A degree audit allows the DOE and your school to track your progress toward a degree. Progressing too slowly, withdrawing from school or becoming a part-time student can affect your student aid eligibility. Your school will contact you if your degree is audited. You'll need to gather information about your degree progress and provide it to your school and the DOE. For example, if your school incorrectly reports that you failed a class, you'll need a copy of your grades in that class to appeal the decision. If you lose an appeal, you could lose your student aid or even be forced to pay back money you've already received. In rare cases, you could even be charged with a crime such as fraud for providing incorrect student loan application information. If you lose your appeal and stand to lose money or your freedom, it's time to hire an attorney who specializes in education-related law. Are Hearing Aids a Deductible Income Tax Expense? Can I Include Training Expenses as a Tax Deduction? 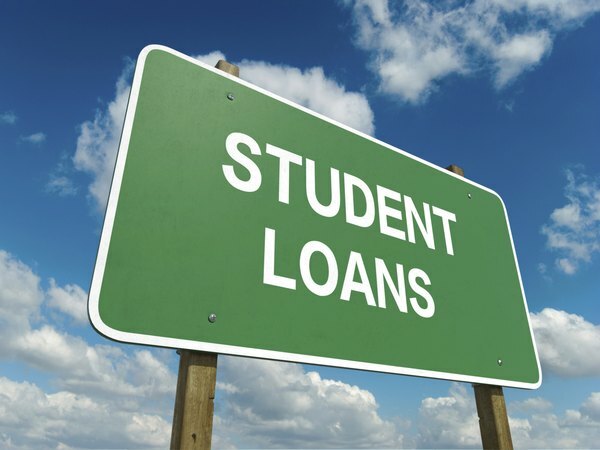 What Is the Difference Between a FAFSA & Federal Stafford Loan?